If you have ever seen a blue morpheus butterfly in the wild, it is an event you will always remember. Their striking blue color and sheer size is amazing and we are privileged to have them in Panama year round. 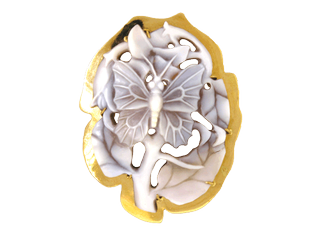 This Blue Butterfly w/flower, 51mm, artist signed cameo brooch, set in 18kt yellow gold, has been created in their honor using our unique latticework cutting method. 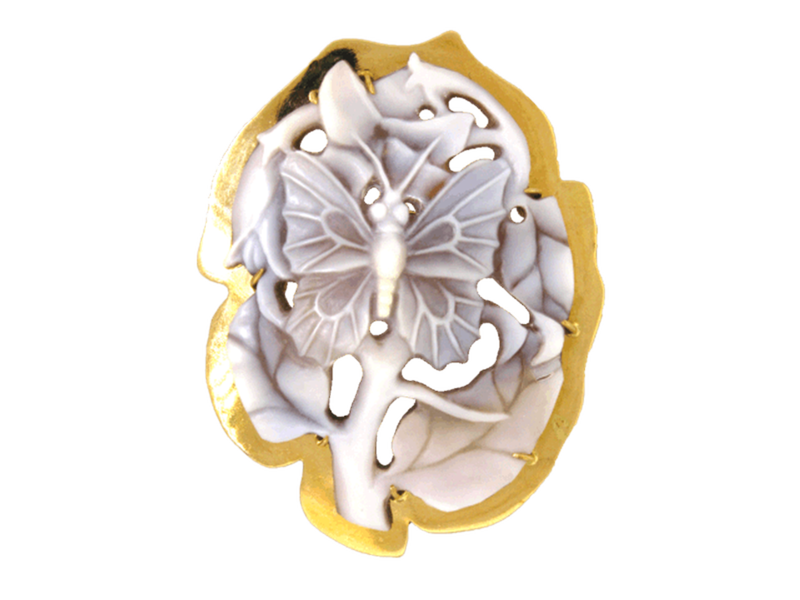 May also be used as a pendant. Registry #1744. Sold with a Certificate of Authenticity. Eco-friendly. Fair Trade. As seen in Gems & Jewellery Magazine, Nov/Dec 2015 issue, "Cameos of the Rainforest" by Helen Serras-Herman, page 31.